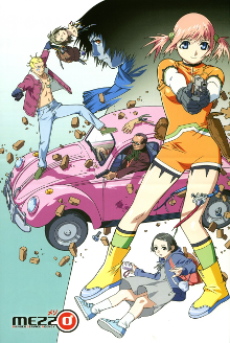 Mikura, Kurokawa, and Harada are the 3 members of the Danger Service Agency (DSA). Mikura is the brawns of the group, Harada is the brains, and Kurokawa is just a bitter ex-cop that likes to think he's in charge. They'll take on any job as long as it involves lots of danger and, of course, money. If you want to live long enough to eat dinner, you better not cross them. Their biggest case, however, could prove to be finding out why someone wants Kurokawa assassinated.